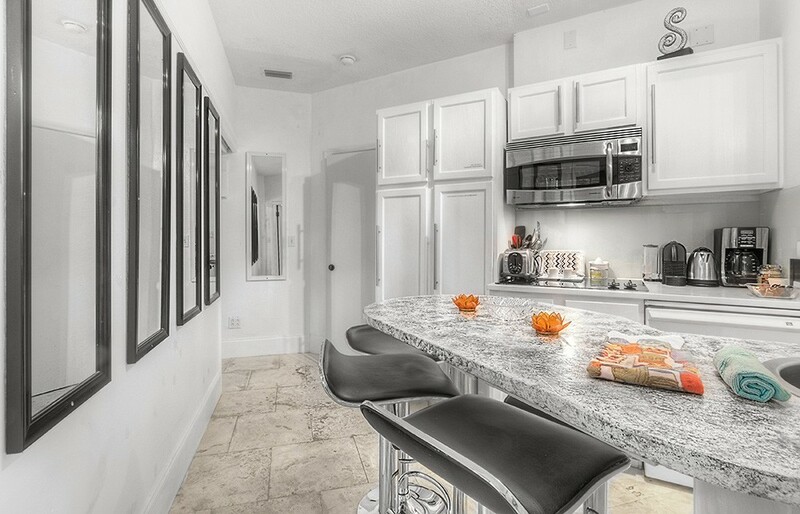 We are happy to offer you accommodation with the best location in the heart of golfer’s paradise in PGA Village. Only 250 yards to the clubhouse. Here you get an entertaining 2 Room GOLF VILLA approximately 400sf (350sf inside & 50sf patio) with 2 Bedrooms, 1 Bathroom, Kitchen and 2 Entertaining Patios, one overlooks Golf Course and the other with Morning Sun, Seating up to 2 people, Plasma TVs with Cable TV in all rooms. Our Golf Villa Suite is highly upgraded and is inside the PGA Village Resort Community. Our Villa does not belong to a rental pool, instead it is rented directly from us the owner/managers, and therefore you are getting the absolute lowest rate and upgraded interior from owners that care. Why stay far away from the Course or Clubhouse & be dependent on a car? Here you will stay in a Golf Villa that is the absolute closest to the Clubhouse and right by the first tee and next to the complimentary 6 hole practice course. You do not have to wait for your friends when ready to hit the range or when hungry after your first round. You simply take a stroll to and from the clubhouse, less distance than a normal tee-shot. We are happy to offer you accommodation with PGA Village best location and the closest unit to the Clubhouse and driving range overlooking the first tee on Tom Fazio’s Ryder Course.